ARE YOU OPEN TO NATURAL HEALTH OPTIONS? Visit our doTERRA online store or contact us to talk about why you should try essential oils! Millions of families are discovering how powerful and effective the benefits of essential oils are in all areas of health care. 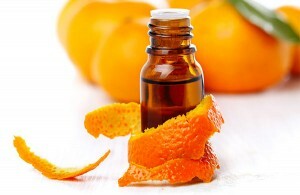 Since incorporating essential oils into our home, our lives have COMPLETELY CHANGED! We are now equipped and empowered to live the most natural, healthy lives possible! Essential oils are for everyone because they work, they are natural and safe, they have been used for generations, and they are supported by scientific research. We have made doTERRA essential oils education and distribution the focus of our family business! We would LOVE to help you get your own Certified Pure Therapeutic Grade® doTERRA essential oils so you can experience the life-changing benefits that we have! We take pride in our approach to equipping, educating and supporting ALL of our clients on a personal level. We schedule free phone calls with anyone who needs it to help answer questions and discover the best approach to your personal health and natural living goals. This is the online store. This is a link to CONTACT me so we can email or talk on the phone to answer questions and help you discover if doTERRA essential oils and natural health products are a good fit for your needs! Part of our essential oils business is equipping and educating leaders who would like to share natural health and natural living with others as an income-earning hobby or full time business with unlimited income opportunity! If you would like to learn more about working with us with doTERRA, click here. We are always seeking the highest quality products to endorse. We work with doTERRA, the absolute leader in the essential oils industry. DoTERRA is the leader in producing the highest quality oils and products, but also the leader in the science-based approach to essential oil use. Since discovering doTERRA, I have not only incorporated their products into my daily life, but I’ve also decided to teach about these essential oils and help people build a natural wellness cabinet with essential oils. We are proud to work with a company that produces the highest quality therapeutic-grade essential oils and uses third party testing to ensure there are no additives, solvents, or contaminants in ANY bottle of oil. Ingestible oils are labeled as safe for ingestion because the quality is guaranteed, whereas most commercially available essential oils are labeled for aromatic purposes only. doTERRA works directly with the FDA to ensure evidence-based, safe and compliant use of essential oils. These essential oils are harvested from plants grown all over the world, in indigenous soil and climates, which means a more nutrient-dense plant and more potent essential oil. They are a large company with the infrastructure that allows them to harvest their oils this more sustainable way, and building strong economies in the regions where the plants are farmed. Even though we purchase our essential oils from this large company, they are supporting “the little guy” in other nations- often very poor nations- by doing things this way, as opposed to raising plants in one non-indigineous region of the United States. No other essential oil company produces their oils this way. The business side of doTERRA is awesome. Hands down. I have experienced nothing but friendliness, honesty, openness, modesty and encouragement since working with our essential oils company. Contact us today to learn more about doTERRA and to get started with your own! You can use our recommended essential oils Aromatically, Topically, or Internally. The bottles and product guides will clearly offer recommendations for use, and let you know the best ways to use the oils. There are also guidelines for using the oils directly on the skin (“N” for neat), diluting first to see if you are sensitive (“S” for sensitive), or always diluting because of the potency of the oil (“D” for “dilute”). The best way to get started with essential oils is to please CONTACT me! I can answer questions, help you get the best oils for your specific needs, and help you get the best prices. I teach classes all around southern California, and take trips to other areas often in case I (or someone on my amazing team) can come teach a class for you and your community! You can purchase all essential oils and products at the retail prices by visiting my online store,or you can receive 25% off all products by becoming a wholesale account member (much like a Costco membership). AND when you set up your account with an enrollment kit of oils, we will give you an EXCLUSIVE FREE GIFT!